Apple is donating 1000 Apple Watch units for a study that attempts to find out the causes and the symptoms for disorders such as binge eating. The disorder is also known as Bulimia Nervosa. The study is being done by the University of North Carolina School of Medicine, and is called Binge Eating Genetics INitiative (BEGIN). Bulimia is a potentially life-threatening eating disorder, in which people tend to binge eat. Subsequently, they then take steps to avoid weight gain, perhaps as a counter measure for all the food they have eaten—this includes forced vomiting, excessive exercising or fasting for inconsistent periods of time. According to the National Association of Anorexia Nervosa and Associated Disorders, as many as 30 million people in the United States alone suffer from an eating disorder. According to researchers, as many as 10 million cases of Bulima Nervosa are diagnosed just in India every year. The BEGIN study will enrol 1,000 participants, ages 18 or older, who have experienced binge eating disorder or bulimia nervosa. Each participant will be wearing an Apple Watch during the 30 day period, so that researchers can monitor the heart rate to understand any deviations or noticeable trends during the time of the binge eating. The addition of the Apple Watch to the BEGIN study is just the latest push for the smart wearable into the healthcare space. Earlier this year, Apple added a new features to the Watch to enable it to monitor for signs of Parkinson’s disease, by being able to track the tremors and dyskinesia symptoms. Researchers at Stanford have also teamed up with Apple to study how the Watch can be used to detect arrhythmias, while Cardiogram scientists have already proved how the Apple Watch can be used to identify the early signs of a possible stroke, through irregular heartbeats. Cardiogram is an app for the Apple Watch, and it relies on DeepHeart neural network designed to identify and predict any potential cardiovascular risk—including Afib, sleep apnoea and hypertension. Earlier this year, Apple announced that patients of NYU Langone Health, Stanford Medicine and 40 other health systems in the US, representing hundreds of hospitals and clinics across the country, could now view their medical records on their iPhones. The updated Health Records section the Health app on the iPhone will compile medical information from various institutions, allowing for better monitoring—this app also collects data from the Apple Watch. “People hand you all sorts of things these days, and more data is almost never bad, but when they show up with paper, how do you summate that?” said Robert Harrington, cardiologist and chairman of the department of medicine at Stanford, in the official announcement. Wearables are clearly catching on with consumers, and medical institutions are understanding their importance as well. According research firm Canalys’ data published in March, as many as 37.9 million wearables were shipped globally in the Q4 2017. The Apple Watch led the way with 8 million units, while Fitbit shipped 5.4 million units if its various wearables. Xiaomi, the company that can be credited with kick-starting the price wars in the long dormant TV space, is back with its latest salvo. The idea of offering large screen viewing experiences at affordable prices continues with the Mi LED TV 4A Pro 49. The name is a mouthful, but that doesn’t really shouldn’t hold you back. What you get for Rs29,999 is a 49-inch Full HD IPS panel and a smart TV that is based on Android TV and runs Xiaomi’s own PatchWall platform for content curation and discovery. But hang on, there must be a catch somewhere—isn’t this too good to be true? For starters, the design of the Mi TV 4A is very similar to the previous editions of the Mi TV. This means you get a very minimal design with thin bezels around the screen. Secondly, the matte black finish on the frame adds a level of sophistication that makes this TV great to look at. Add to that a sharpish design language, and this will look great in your living room or bedroom. If we have one complaint, it is with the table-top stand which is designed to be fixed close to either edge of the panel—that means you need a table as wide as the TV itself to install this safely. However, this is something we have seen in a lot of TVs off late, but it something that we don’t think is a good idea. Anyway, moving on to the remote. It remains small, compact and un-cluttered as before. But it now has been redesigned to feel chunkier to hold up, each button press generates a solid feedback and the button layout has been tweaked slightly too. There is now one home button that takes you to Xiaomi’s PatchWall interface, one button that takes you to Google’s pure Android TV interface. There is now a voice search button as well. Switch the Mi TV 4A on, and what impresses immediately is the slickness of the updated PatchWall interface—fonts have been redone, some elements have been realigned and in general, it looks better than before. Not that PatchWall was bad earlier either. This is the unique aspect of any Mi TV. This is Mi’s own content curation and discovery service that understands your viewing patterns over time, and factors that in too, to provide you with content that you may want to watch. At present, the services that run on the Mi TV 4A are Hotstar, Hooq, Voot, Sony Liv, Zee5, Jio Cinema, Alt Balaji, Eros Now, Hungama Play, Sun Nxt, TVF, Viu, Epic On and Flickstree. That is a lot of streaming sources to subscribe to and get your dose of TV shows, movies and videos. Everything plays back perfectly, and the content curation itself is quite useful. However, we would have preferred more customization options, such as content genres or prioritize one service over another. While we understand Xiaomi does not want to discriminate against any service on PatchWall, as a user, that does mean you’ll often see a lot of content that may not be relevant for you at all—and the option to prioritize certain services could eliminate that potential issue to a certain extent. That said, Xiaomi clearly have spent a lot of effort on improving this feature, and the slightly faster animations, navigation and better fonts show that. On the other side is the Google Android TV interface. Having two different home screens can be a tad confusing initially, but if you don’t want the curation of the PatchWall, then this simpler and obviously more Google-esque interface could be relevant. It is not as if this is blank or bland, and it has its own suggestions from apps that you, but nothing as elaborate or detailed as PatchWall. The panel that Xiaomi has used for the Mi TV 4A Pro is Full HD. Before you criticize this for not being 4K, take a step back and think—how many 4K channels do you get on your cable or DTH service, and do you really have a broadband connection fast enough to stream 4K content on streaming services? Chances are, you’ll now get the perspective for Xiaomi’s choice. That has also allowed them to keep the prices down. 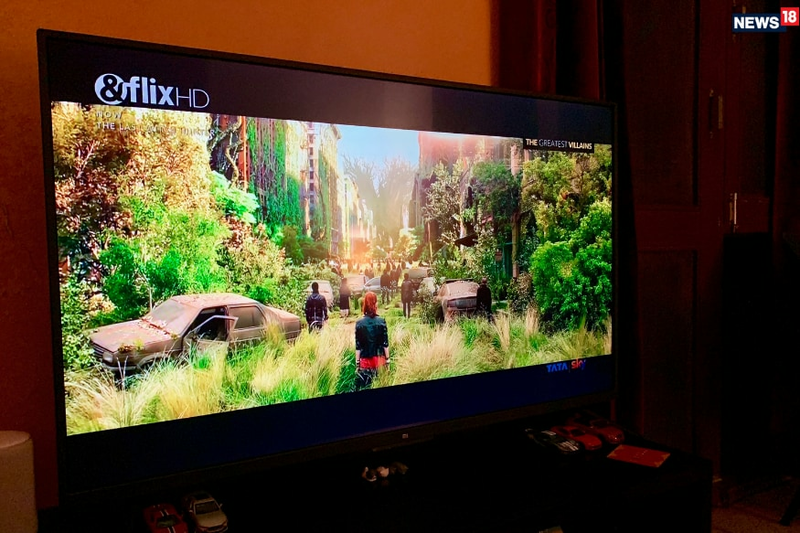 The advantage this has over most other Full HD TVs in this price range is panel is HDR 10 compatible—this means that content on steaming services which supports this high dynamic range (HDR) feature will be able to take advantage of this. The result, when available, would be much more detailed visuals. It may not make a world of difference at first glance but watch an HDR content on this screen and then on one that doesn’t have HDR, and the difference will be more appreciated then. The panel itself reproduces very crisp visuals, which means that even dialed down sharpness settings still don’t result in fuzzy or soft images on the screen. In terms of the colour richness, this has better and more accurate colour accuracy and separation than all of its rivals under the Rs50,000 price point—we can say that with confidence, this sort of performance is actually a big advantage for the Mi TV 4A Pro. In fact, we switched from a Sony Bravia Android TV to the Mi TV 4A Pro, and the difference wasn’t something which would make us feel that we have switched to an inferior television or something that costs less than half of the Bravia’s price. Now we have to address the elephant in the room. The Mi TV series of smart TVs do not have support for Netflix and Amazon Video, at least not yet. The Mi TV 4A Pro is no different. Now that is a serious limitation, considering Netflix and Amazon Video would be two of the more recognized streaming services available at the moment. if Xiaomi is targeting the urban buyers with the Mi TV 4A Pro, the no-show from Netflix and Amazon Video on the TV is something that cannot be ignored. At present, you will have to make do with workarounds such as an Amazon Fire TV Stick or an Apple TV. And we hope that in the meantime, Xiaomi and Netflix as well as Amazon decide to play along nicely. 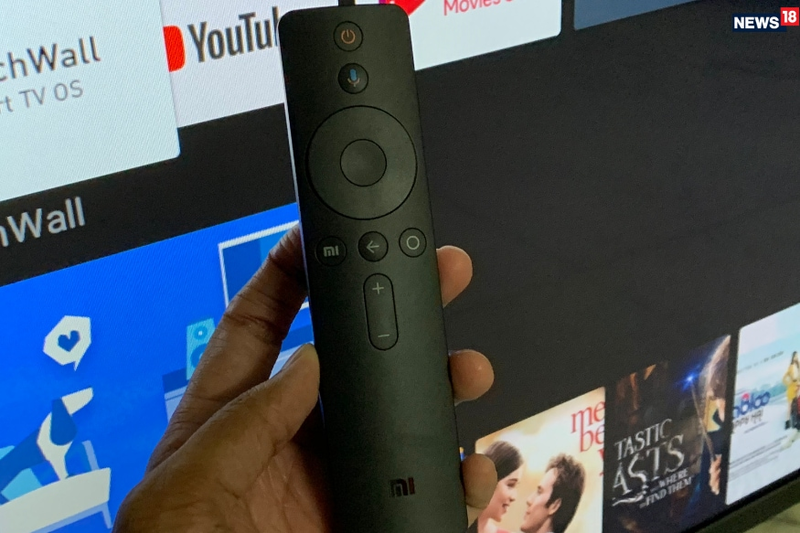 Apart from the fact that Netflix and Amazon Video aren’t available on the Mi TV 4A Pro, this is a steal—even if you factor in the cost of buying an Amazon Fire TV Stick to go with the TV. A 49-inch screen size, for less than Rs30,000 cannot be categorized as anything but an absolute category definer. There are no real shortcomings with the overall performance, and the best part is that when this is sitting in your living room, people who turn up to your home will probably guess its price tag is much higher than it actually is.